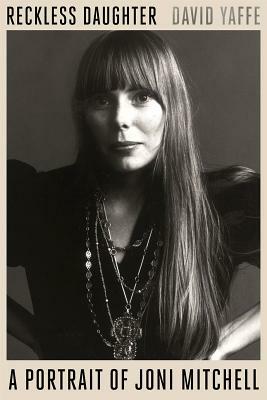 Joni Mitchell's first album was released in March, 1968. I was an off and on student at the University of Michigan in Ann Arbor, dropping out and then enrolling again. I was also singing in various spots around campus, covering songs recorded by Judy Collins, Joan Baez, and Bob Dylan, already playing Judy Collins' version of "Both Sides Now." So of course, I bought the album the minute it came out and listened to it daily. Eventually a couple friends of mine helped me figure out her open tunings and how to finger the chords. I finally saw her perform live in the very coffeehouse where I met my first husband and where we would get married in April, 1969. She played "Little Green." Nervous and tongue-tied, I went down to the dressing room and asked her if "Little Green" would be on her upcoming album. I cannot describe how much all of this influenced my life. Reading this account of her life, which has its problems but is the best biography about Joni so far, was such a personal experience for me that I find it hard to fully express all that it meant to me. I finished it a few weeks ago and am still processing all the memories and feelings stirred up. If I ever get to that part of my own memoir, having read this year by year, album by album account will help immensely. Thank you David Yaffe. So I will only say that if you were a woman of heart and mind from the late 60s onward and at any point fell in love with Joni, you will want to read this book. Especially if you lived a life of conflict between your dreams for yourself and the demands made on you as a woman, you will find much to ponder. It is all here. Wahoo! Love the anecdote you share about meeting Joni, Wow. Must be Wonderful memories (can't wait for your memoir too). Such amazing songs & albums, Canada's true gift to the world. I came to Joni's music while I was in college as well (in the 80s), specifically I played Ladies of the Canyon, Blue, and Court and Spark until they wore out. I look forward to reading this book this year! I will study it I'm sure. Those are three of my favorite albums. I agree on Canada's gift to the world but would have to add Margaret Atwood. You are going to love the book! It was! Next up is the Stevie Nicks biography, waiting for me at the library now. Three of my musical heroines in one year! I always loved her music. When I first heard "Both Sides Now," I felt as though it had been written especially for me. I still do. She said somewhere that she wrote all of her songs to make them feel especially for her listeners. Wonderful memories!! Sounds like amazing memoir of Joni Mitchell. Glad you enjoyed David Yaffe's writing! It all came together for me, yes.